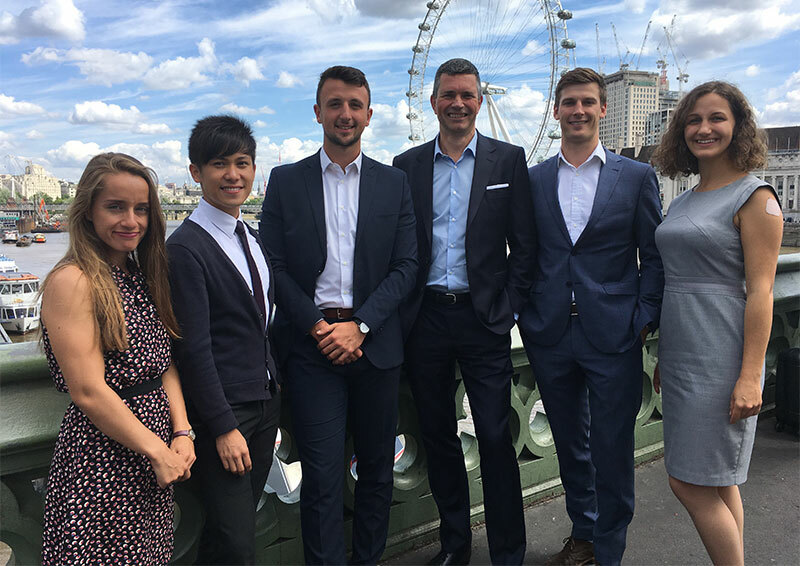 Every year the ICE President chooses some of the brightest and most motivated graduate and technician members to be on the Future Leaders Scheme. Andrew Wyllie with his Future Leaders 2018-19. This popular and highly competitive scheme has been running since 2005. It gives graduate and technician members a unique opportunity to gain experience, develop skills and learn about the industry. Future Leaders meet and engage with senior engineering professionals, getting invaluable insight into industry development. They also become part of the Presidents' Future Leader alumni network. Find out more in our information brochure. Any technician member or graduate member can apply to be a President's Future Leader. We will be recruiting for the next cohort of Future Leaders early in 2019. Please contact Joanne Hunt at: [email protected] if you want to be notified when applications open. The President's Future Leader scheme has many benefits – not just for you but also for your employer and ICE. If you're chosen to be a President's Future Leader you'll be away from work for around 15 days in the year. You'll also attend events and face-to-face meetings and be supported with work on your idea. If you have any questions contact Joanne Hunt: [email protected]. This year ICE President’s, Andrew Wyllie, Future Leaders will be working on their own projects.